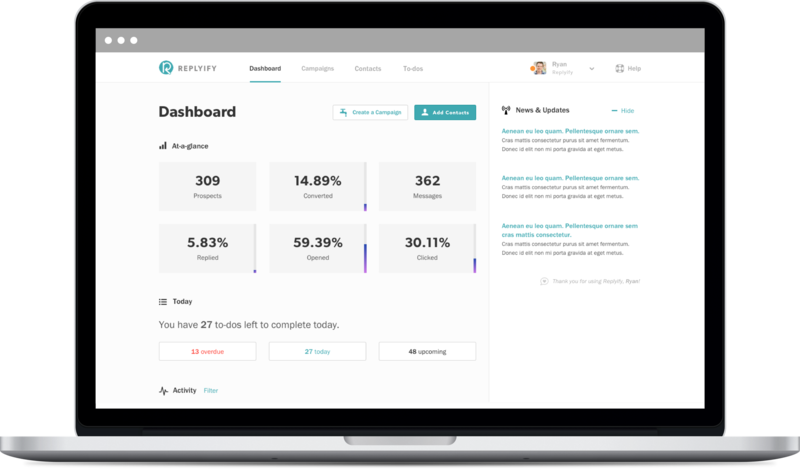 Replyify automatically sends your personalized cold emails and follow-ups to your sales prospects so you can convert them into leads. Spend more time selling and less time digging through your inbox or manually updating contact records in your CRM. Free to start and built to suit. Ryan O’Donnell is Co-Founder/CEO of two tech platforms used by thousands of companies, both large and small, for generating a consistent sales pipeline. SellHack is a Chrome browser extension to build targeted prospect lists and Replyify automatically sends out your cold emails so you’ll never forget to follow-up again.